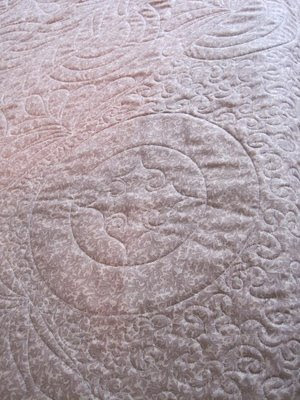 Thread Waggle Quilting: Finally finished the Roman Holiday Quilt. Woo Hoo! I finally got this one done! YEAH. I really like how it turn out. I did LOTS of feathers on this on. Machete feathers in the outer and the diagonal boarder. 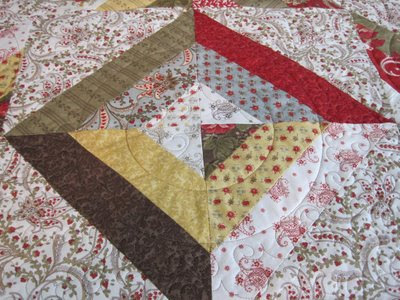 Feathers and hook design in the red boarder and feathers in the 1/2 square triangles. I used Off the Edge templates for Arcs, circles and SID. I bought the rulers while I was at MQS and really wanted to try them out. This quilt is 102" square. 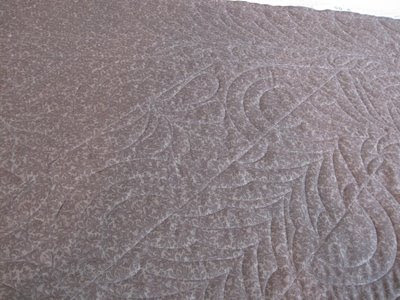 Here is a close up of the diamonds in the center of the quilt. I did 3's and E's as my filer and a little line dancing in the center square. And here are the feathers. 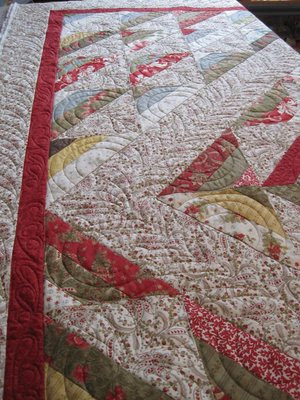 I am so happy that this quilt is done. I really had fun using the new templates and doing the feathers. I can't wait for the quilts owner to see it in person. She likes what she has seen in the pictures, but it looks so much better in person. Gorgeous Angela! Very nice work. 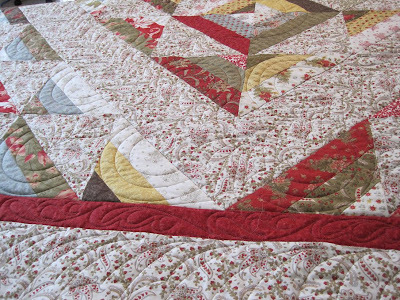 I absolutely love the quilt you did for me and can't wait to show it to everyone on Saturday!